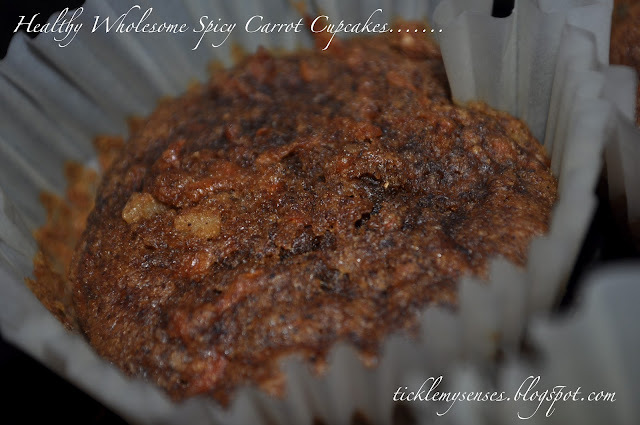 Tickle My Senses: Wholesome, Spicy and Moist Carrot, Raisin and Nut Cupcake. 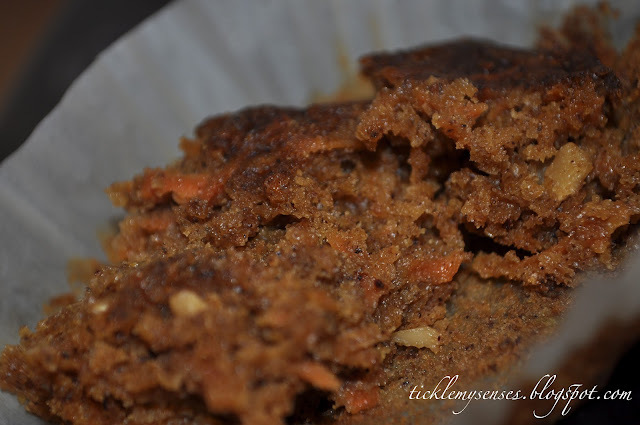 Wholesome, Spicy and Moist Carrot, Raisin and Nut Cupcake. There is a light at the end of every tunnel and the sun returns after every storm.....has been my latest mantra.....Well its Chicken Pox this time!! Just when Baby A was returning to his cheerful, bubbly and cheeky self, the nasty varicella virus knocks. Its been a difficult few days emotionally and physically. 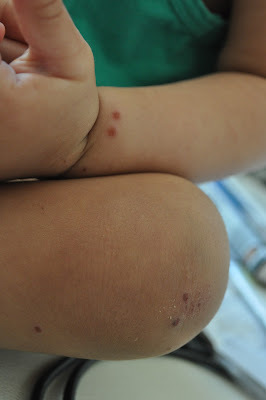 Fortunately the lil chap has not been blanketed by these horrible itchy red bubbles. Praise the Lord! He has been on a healthy diet of vitamin enriched lentil and vegetables rice (kitchdi) and yoghurt, fresh juices of immune boosting mixed berries and citrus fruits ( unfortunately the tender coconut wala doesnt operate in this part of the world :((. We've been through lots of soda baths and oatmeal soaks, aloe rubs.... seems to stop BabyA picking at his scabs. Its day 6 and no more new spots are appearing and scabs have formed so I am beginning to see the light at the end of this tunnel :))) Fingers crossed this would be the only episode of CP he ever encounters. 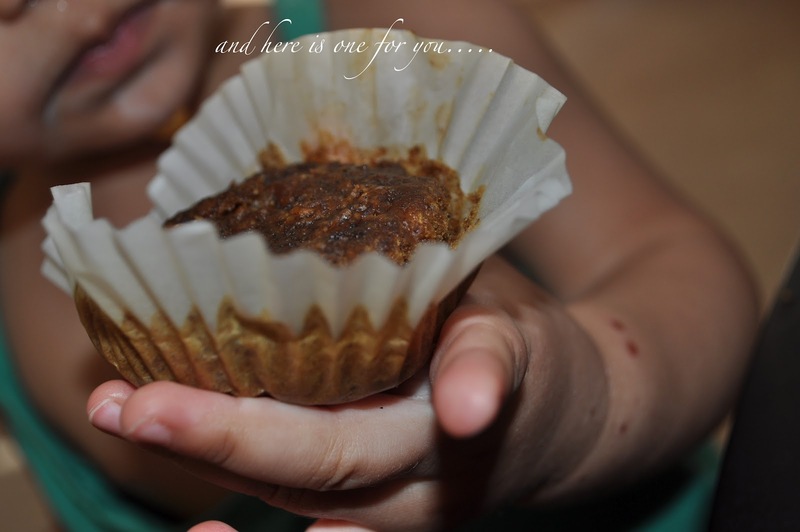 Well to keep my little man happy I baked him his favourite spicy carrot cupcakes. Loaded it with his all time favourite raisins and cashewnuts, a sprinkle of mixed spice, and voila was I left with one happy bunny?? I did not ice these cupcakes as I did not want a hyper baby and the cupcakes were delicious without it, but if you would prefer to, the butter cheese icing given below compliments these cupcakes beautifully. 1. Heat oven to 180C/160C fan/gas 4 and line a 12-hole muffin tin with cases. 2. In a large mixing bowl, mix the sugar, flours, bicarbonate of soda, mixed spice and orange zest. 3. Whisk together the eggs and oil, then stir into the dry ingredients with the grated carrot. 4. Divide the mixture between cases and bake for 20-22 mins until a skewer poked in comes out clean. Beat the butter until really soft, then beat in the soft cheese, icing sugar and vanilla. 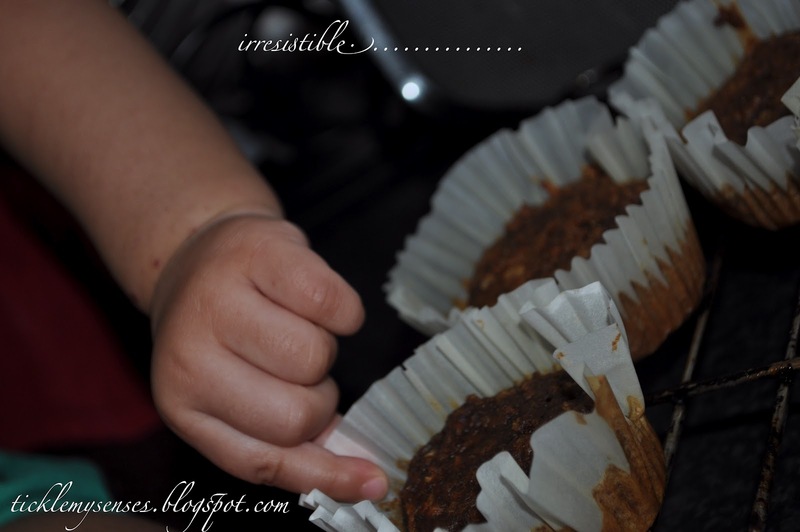 Use a palette or cutlery knife to swirl the icing on top of the cakes, then sprinkle with decorations.